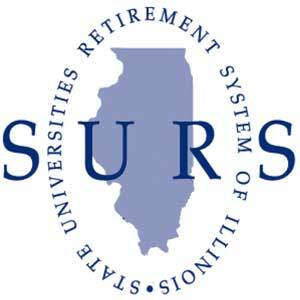 The State Universities Retirement System (SURS) is one of the five state-funded retirement plans that provide retirement, survivor, death and disability benefits on behalf of more than 227,000 members from 61 employers in Illinois, including state universities, community colleges and state agencies. SURS administers benefits and oversees a large, investment program with assets approximating $20.3 billion as of June 30, 2017. SURS is an outstanding, progressive workplace with a caring and friendly staff. We offer excellent benefits, an attractive worksite and designated on-site parking. We pride ourselves on providing quality service to our members and stakeholders. This full-time position reports to the chief investment officer. The location of this position is in Champaign. The deputy chief investment officer (deputy CIO) works closely with the chief investment officer (CIO) to oversee the management of the System's assets, to critically evaluate investment operations and efficiency and to assist in the implementation of best practices to improve operational efficiency. The deputy CIO is responsible for directing day-to-day supervision of staff. In addition to the CIO and deputy CIO, the investment team consists of senior investment officers for equity, fixed income and real estate, two generalist investment officers, and one investment analyst. There are also newly approved positions for an investment officer and an investment analyst. Evaluating and reporting on fund operations and staff performance, and adherence to administrative procedures and risk management practices.